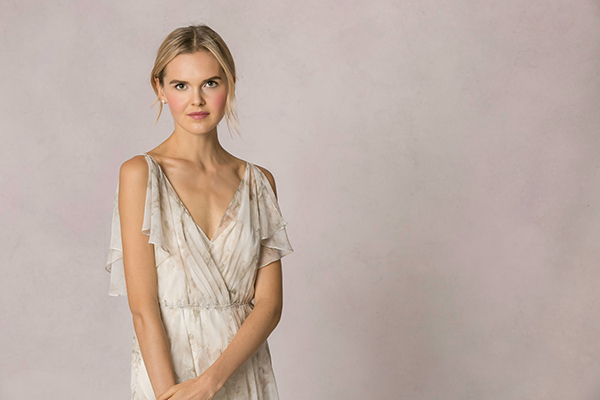 I absolutely adore the ultra romantic Jenny Yoo bridesmaid dresses and it was such a pleasure to meet the talented designer during New York Bridal Fashion Week! 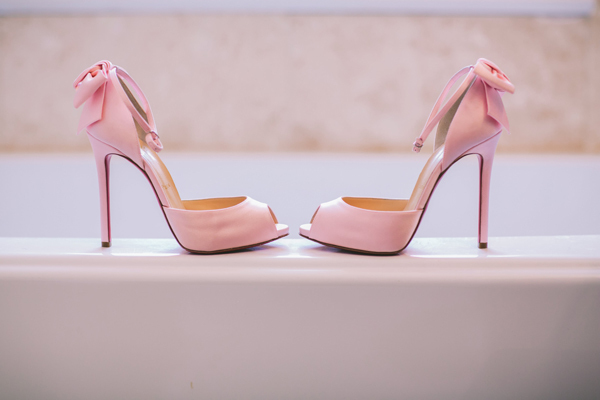 It was definitely one of the many highlights of the most amazing experience at the NY Bridal Market. 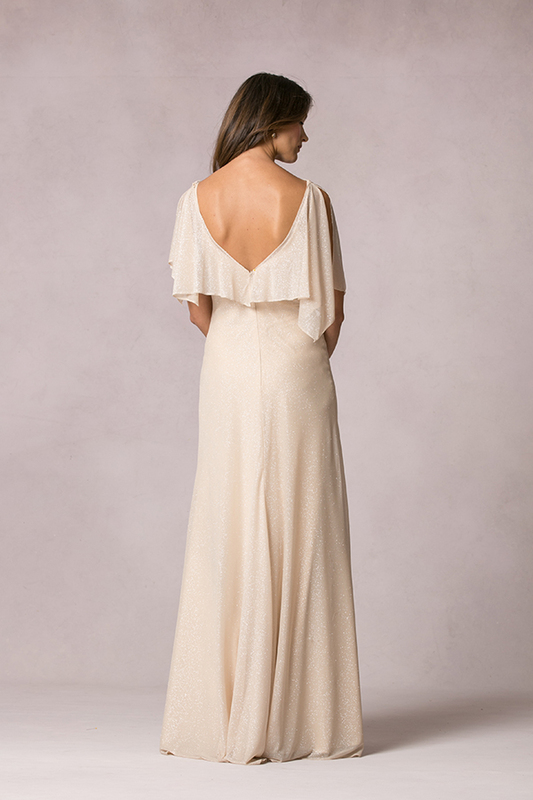 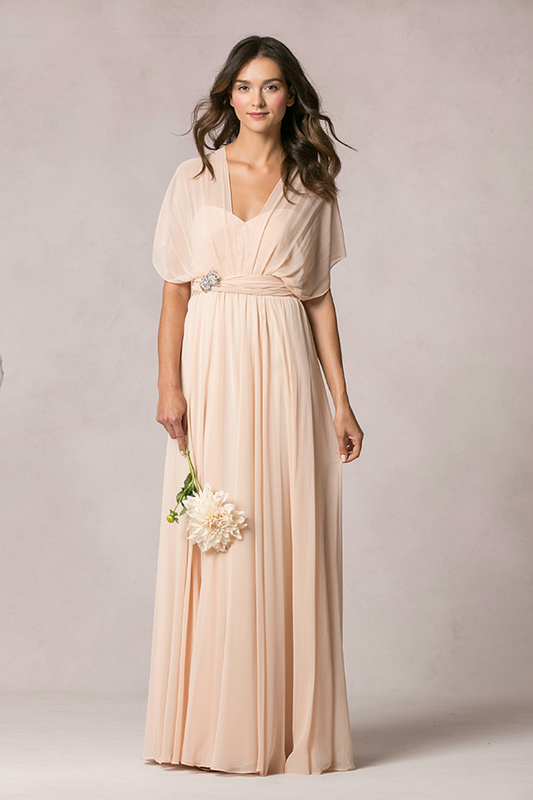 The new 2016 Jenny Yoo bridesmaid gowns incorporate rich and luxurious silks, chiffons, and cottons in order to create an elegant, feminine, and the most refined look. 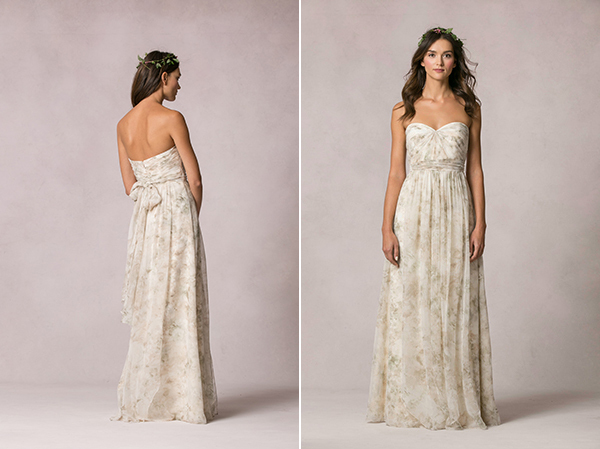 One of our favorite floralbridesmaids dresses! 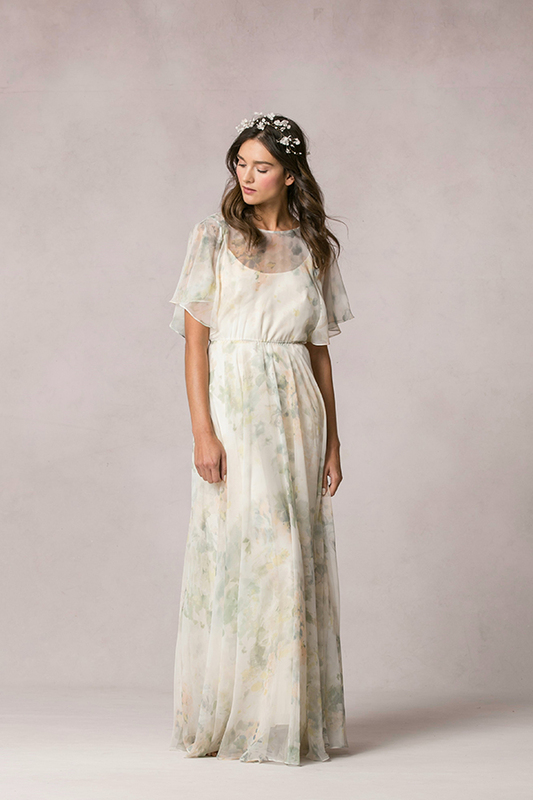 A beyond beautiful chiffon floor-length bridesmaid gown in a lovely floral pattern. 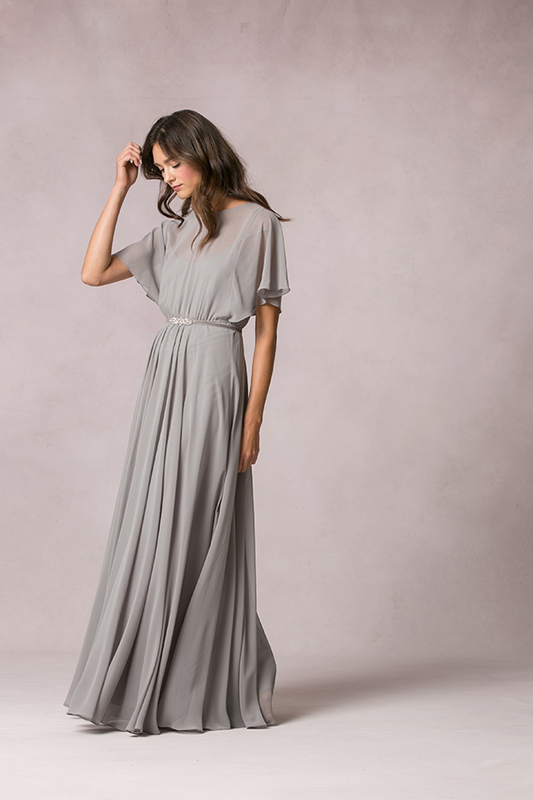 A lovely chiffon long bridesmaid dress with an elegant belt. 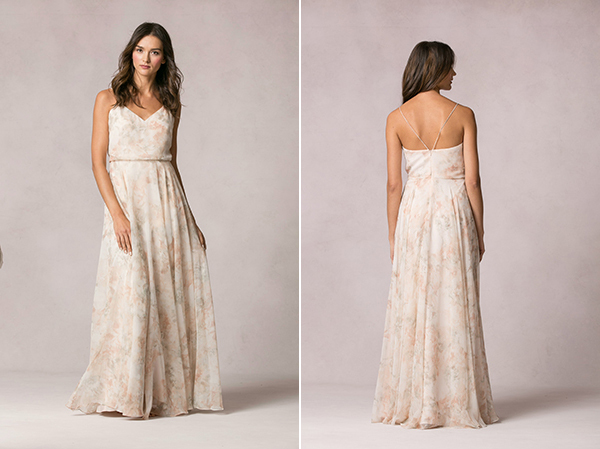 Cassie is one of the most romantic floral print bridesmaid dresses ever! 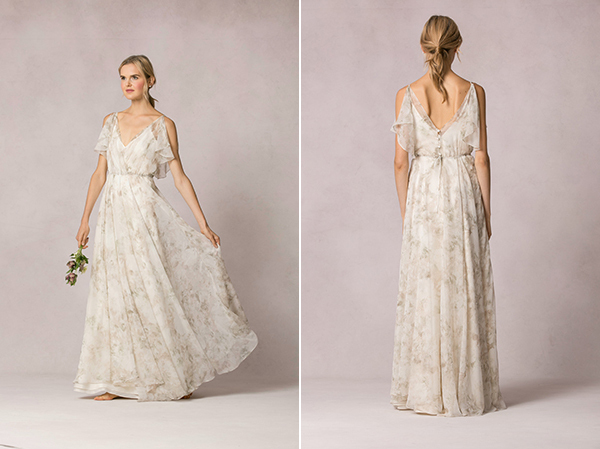 Ethereal tulle overlays a wispy strapless gown designed with long panels that can be artfully wrapped and tied over the bodice to create more than 15 elegant looks…. 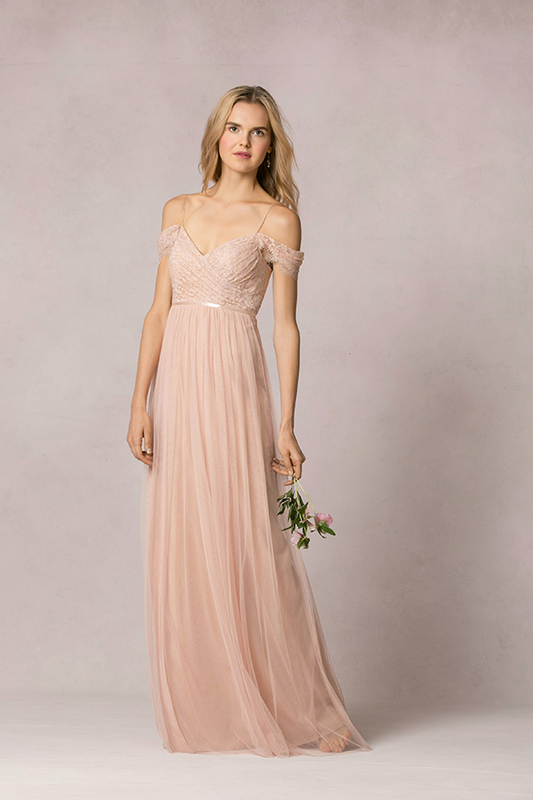 15 different bridesmaid dresses! 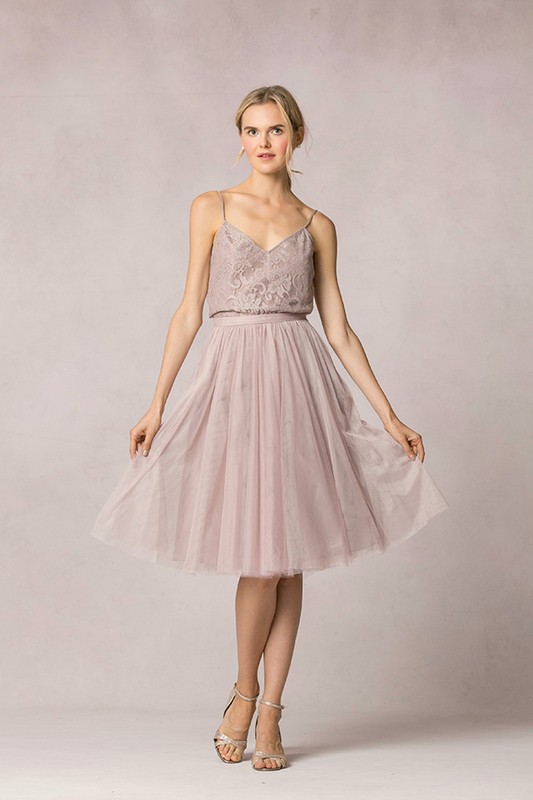 How much do we love tulle bridesmaid skirts! 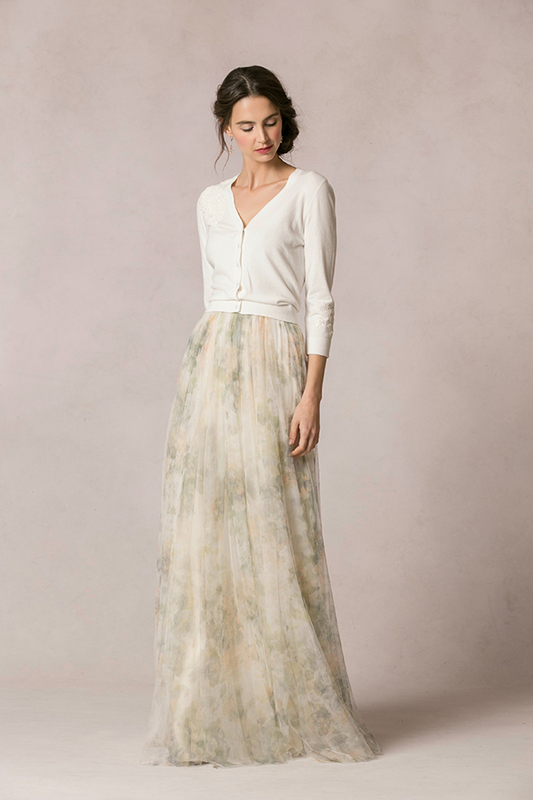 Especially when are paired with the stylish Cora tank top. 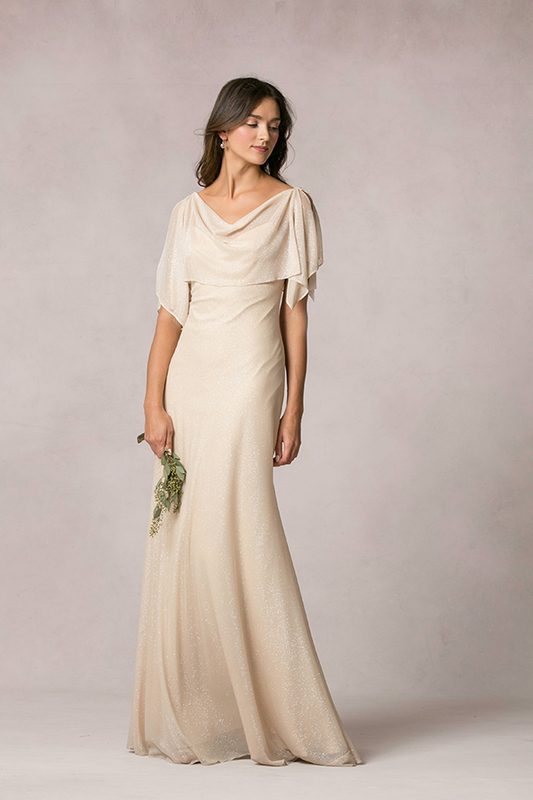 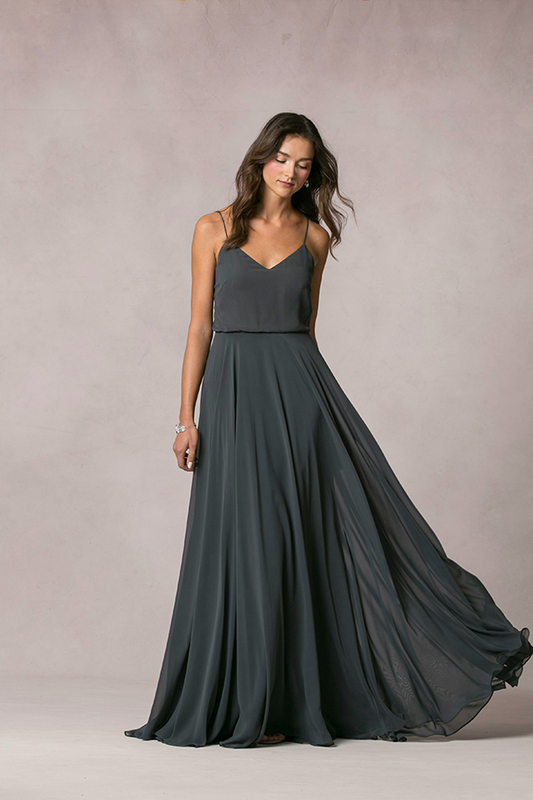 A more casual yet so chic bridesmaid dress option. 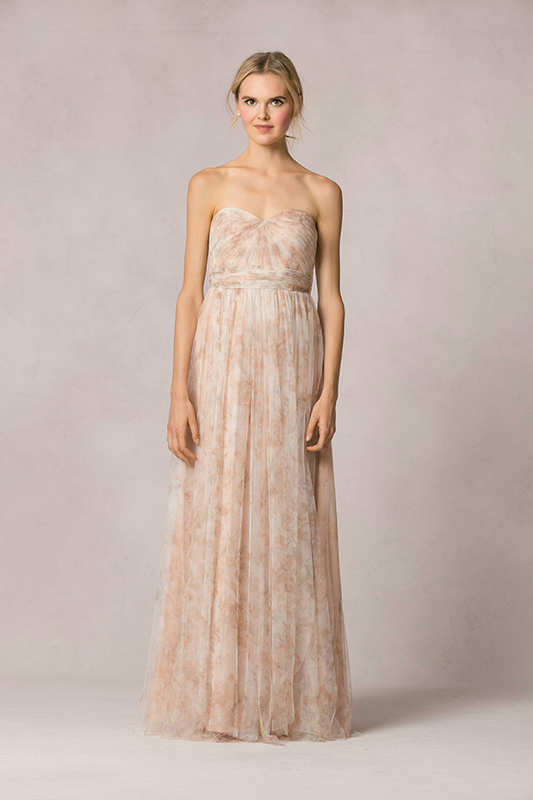 A gorgeous strapless tulle dress. 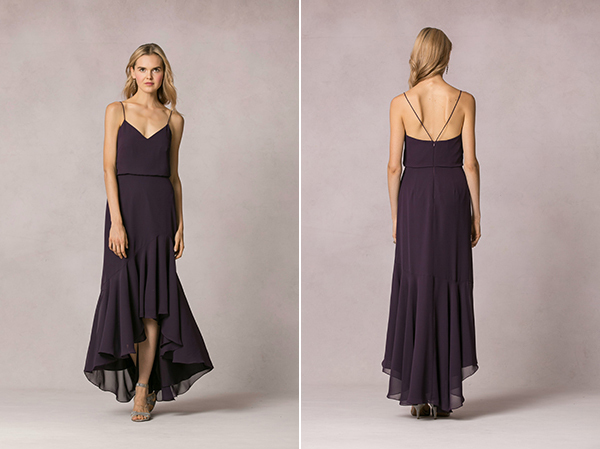 Beautiful bridesmaids skirts with tulle paired with a romantic top. 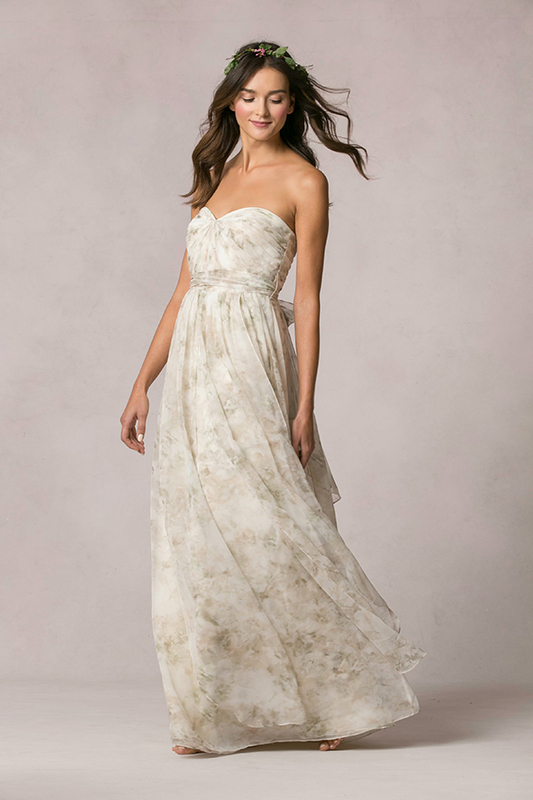 Short bridesmaid dress with florence lace. 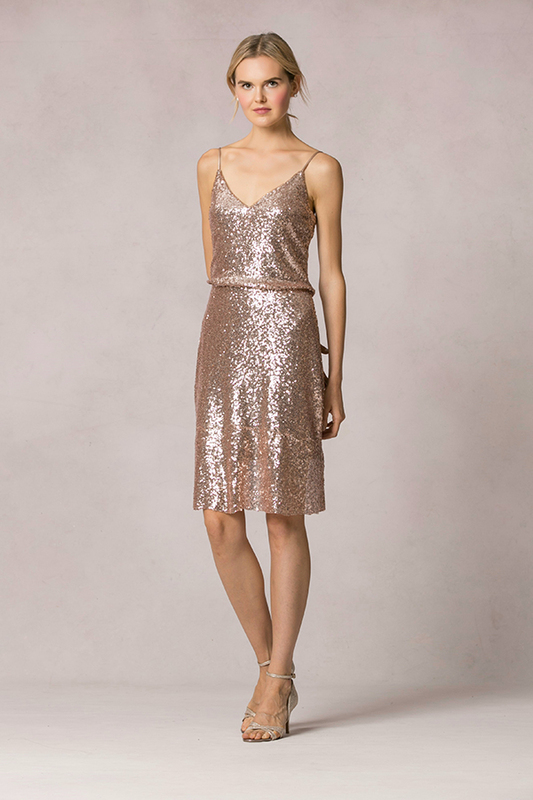 A perfect option for a short bridesmaid dress style. 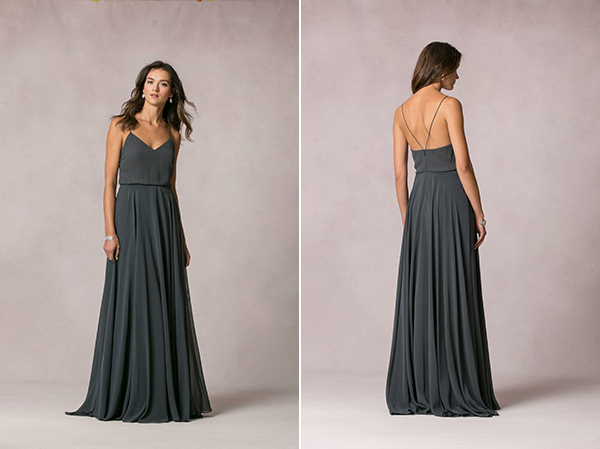 Bridesmaids dresses featuring a new fabrication, the crushed jersey. 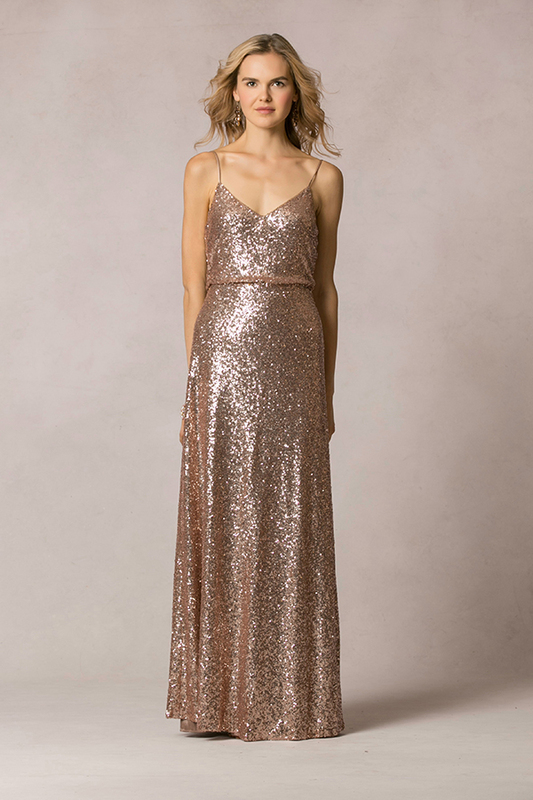 A stunning floor length bridesmaid dress in ivory glitter… one of our favorite sparkly bridesmaid dresses!